Before submission, authors must carefully read the guidelines for authors and make sure the paper conforms to these guidelines. For reference, you may want to look at related papers that DLSU Business and Economics Review have published in recent years. Each manucript is checked for plagiarism, and assessed if it is complete, readable and appropriate for this journal. If the manuscript merits having experts to review it, the journal editor will appoint reviewers. In addition, manuscripts must be copy-edited, not just proof-read, for English fluency and clarity before submitting it for publication. It is highly advisable to have a professional editor copy-edit the main text, list of references, tables and figures. 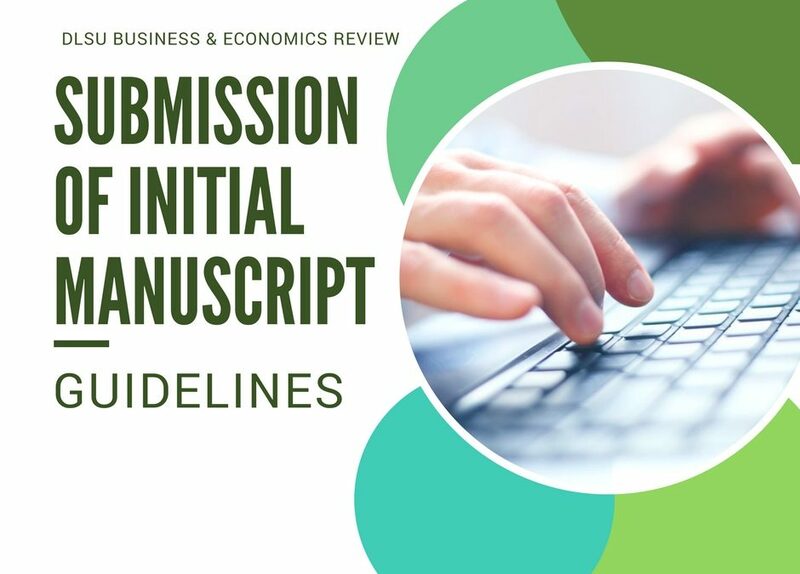 Papers not conforming to the guidelines and referencing style of DLSU Business and Economics Review will be returned to the author with no comments. Submission of paper is free of charge. No processing or handling fee will also be asked from the author. To submit your initial manuscript, please click here.